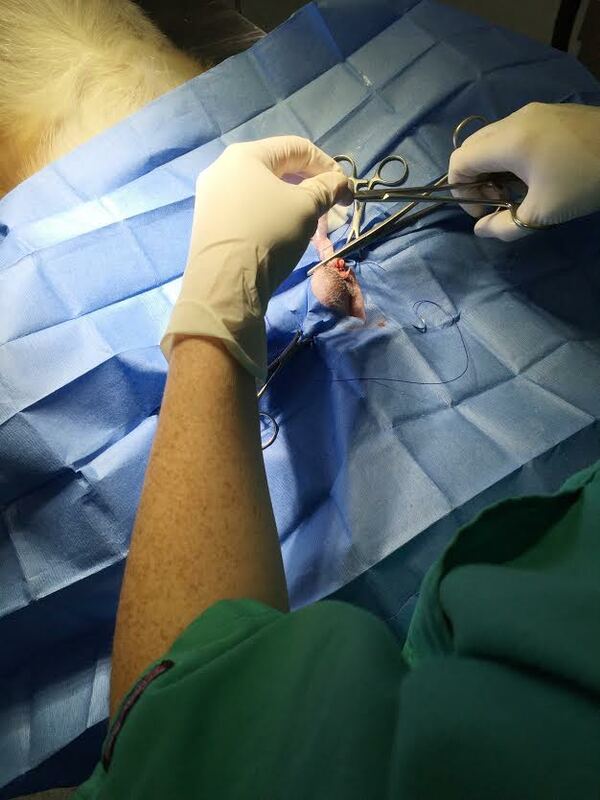 Neutering or castration if performed on male patients as young as five months old under general anesthesia. The testicles are removed thereby deterring aggression and territory marking along with preventing disease conditions associated with testosterone. Neutering prevents breeding and unwanted pregnancies. Cryptorchidism is an inherited condition in which one or both testicles are retained within the abdominal cavity. The abdominal cavity must be entered to remove a cryptorchid testicle that is retained. We utilize laparoscopy to remove these testicles, which is much less traumatic for the patient.